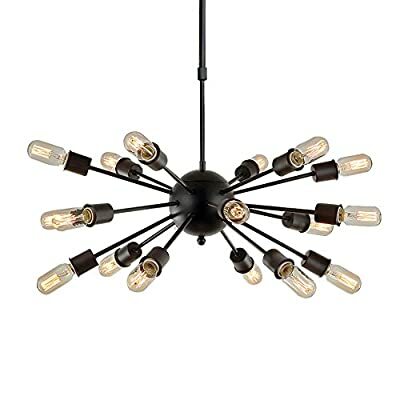 Update your home in a creative way with this unique Sputnik pendant light. This chandelier has eighteen articulated arms protruding from a center ball. This light's multidirectional bulbs give off intense, spherical light for maximum room coverage, and its black finish complements any room.